Are you sure January is on track with your predictions? Maybe some fleeting cold uppers but until mid-January nothing really to write home about, average January weather really. Given the SSW occurred at the start of January we should expect to wait until towards the end of January, not too dissimilar to January 2013 really. Given the ENSO state we have a better background signal for a weaker Atlantic come winters second half. Next swingometers will be on January 25th as that's when I think we should start seeing the better signals for cold. I think it'll be a little later this year. The first low on a southerly trajectory in 2013 was on the 12th, then a snow event of sorts on the 14th. By the 16th we were in a very cold easterly ahead of the main event on Friday 18th. Oh if it could meet the same dates this year! GFS seems adamant on sinking those lows into Europe over the last 24 hours in FI which does fit in with Chionos comment yesterday. Once we have low pressure to our S or SE hopefully that's when we will see some decent blocking to our NW. Whilst ECM is dire in its output, GFS is still showing the jet diving SE outside the 10 day frame, lets just hope its got the right idea and ECM might start showing something similar is far reaches in the coming days. What could possible go wrong? Everything. The 2013 SSW was the 6th Jan (i think), but there was a quick wave trop response and the cold was in about another 6 or 7 days later with snow events. Ah, indeed you are correct , well hopefully we can get one later in January... fingers crossed. 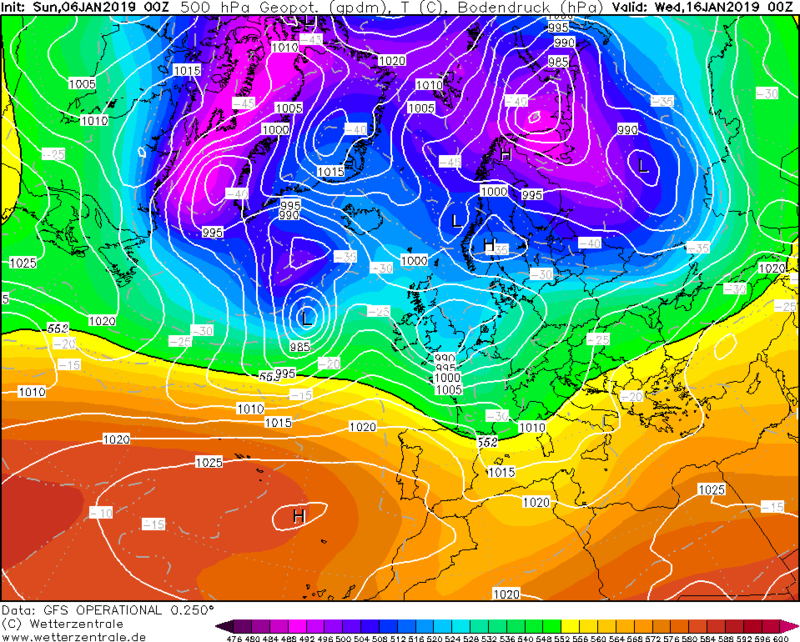 I do think the second half of winter will see less in the way of mild SW winds but we shall see. I think it’s safe to say one buzzword that has become extinct in recent days, QTR. The exact definition of which is somewhat arbitrary and subjective. Some may argue that there has been a fairly QTR to the SSW, it just hasn’t been of any benefit to us. However, this Northern Hemispheric shakeup is an ongoing feast. I am convinced our time is coming. I maintain, we would have to consider ourselves hugely unlucky if this winter passes by without producing a cold snowy spell. I think we are now looking at, probably, around the 19th of the month before this is likely to start in one form or the other. Currently we are looking at a potentially unstable unsettled transition as well. More and more convinced the almost inevitable Arctic High creation is going to play a big part in this. What might be interesting is if anyone has time to check on when other early SSW's occurred and we had no real benefit from this? There are not that many but in this situation i would think that the flatliner solution on the graph has an above average chance of verifying, look closely and you will see about 4 or 5 flatlining at -8c, yes the majority are milder but they are zig zagging about with no mean consensus for that particular cluster, that suggests that the majority cluster has a decreased chance of verifying. 2006 but was that a displacement rather than a split? 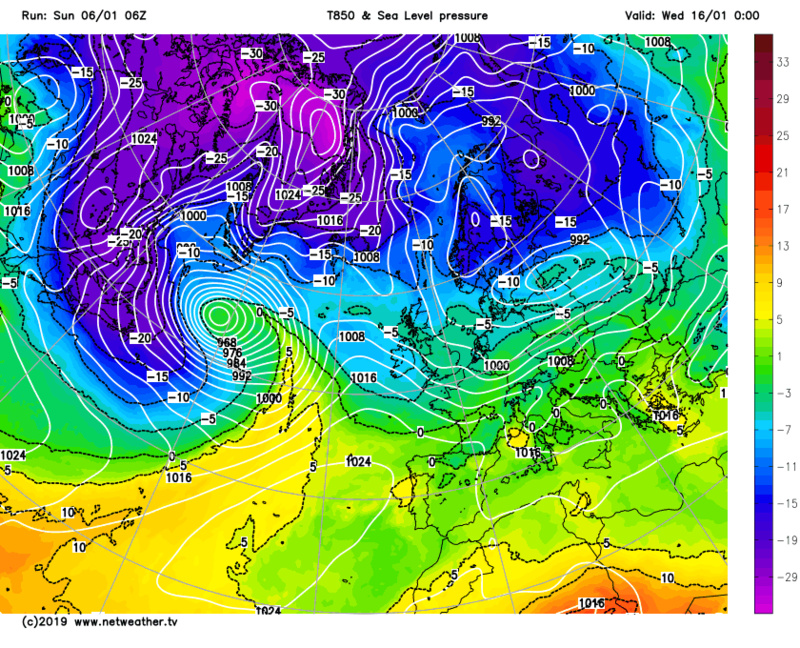 and also there was some late season cold, who knows whether the vortex had been already been weakened by the event. 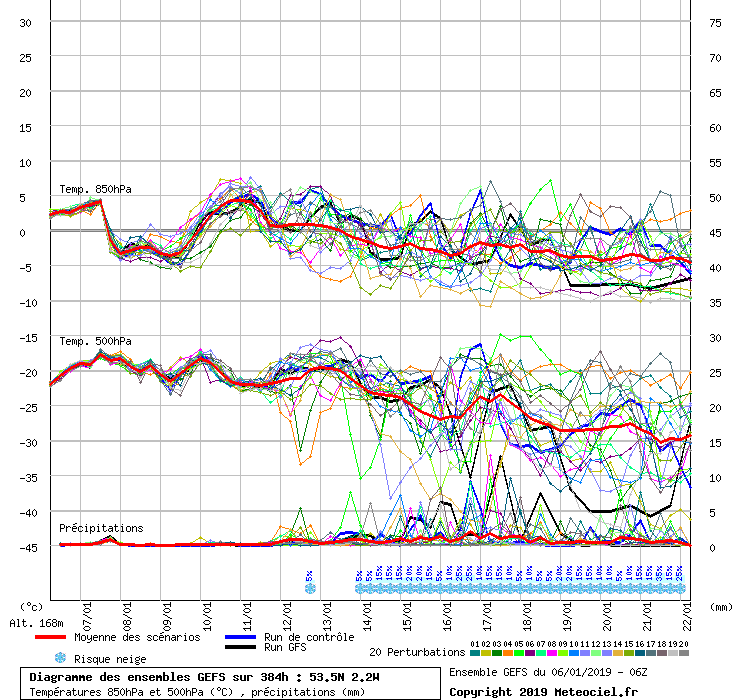 I've just gone through the ENS , caution as to where you start judging from , I think guidance has to be taken from the Beeb and The Met and they are looking at the 3rd week in Jan ( potentially ) the above are good runs from 240 onwards , no point looking at anything before if you are searching for a trend. Hi Banbury, apologies was a sarcastic comment as Feb posted a really nice chart. The background signals will come through, maybe not as one may expect. It's not like there is some secret magical mechanism that could make the weather worse than the signals suggest.  It's a symptom of overreliance of NWP. EPS mid range might not be want we want but look at the trend towards the end of the run. I’m not sure many will agree with that. It’s early January, nothing set in stone for later in the month yet let alone next month. think that prediction was more on what they wanted to happen not what was going to happen,-29c ? hasn’t happened since records began ,maybe one day but you would need exceptional cold uppers to begin with then High pressure settling over the U.K. trapping the cold air underneath. 2nd half still looking good for dramatic change though. 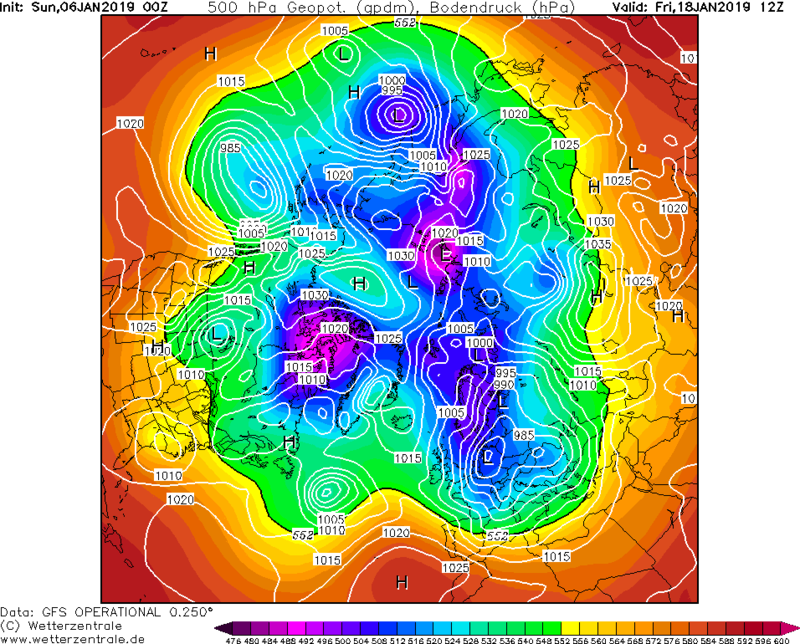 Well, to say there's nothing really going on with the models..as some say!..it's very busy in here..there must be a change to predominantly cold zonal on the way..oh I do hope so, this winter has been a complete bore so far!..onwards and upwards!! 2013 a totally different type of event to the one just now: 2013 had strong vortex lobes totally separated with cross polar heights. It's not until mid month that you see a similar profile in the strat models. Have these just been updated? I wonder what this thread'll be like in 50-years' time: Will we be arguing over verification-stats at Day 287? Anywho, the FV3 at T+324 hours looks positive! 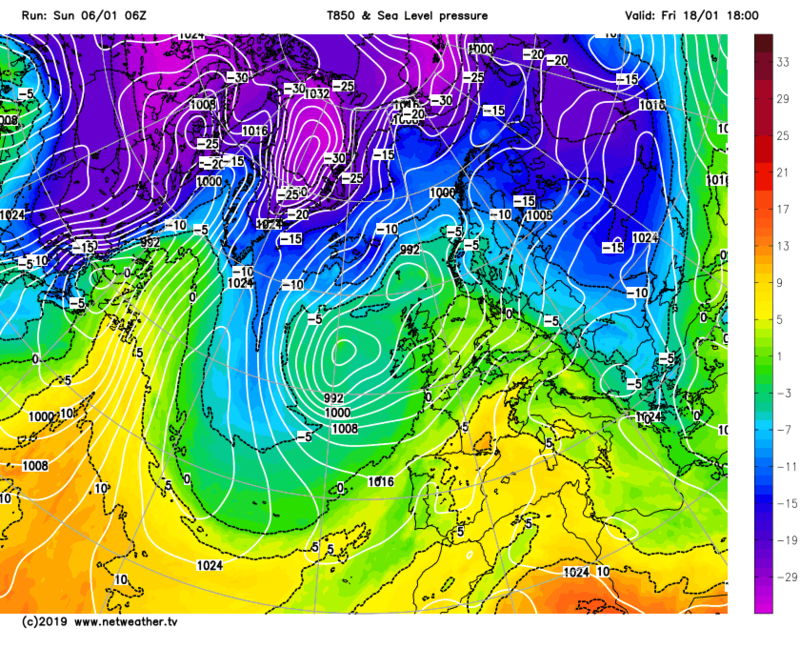 Och well..a west-based NAO. To be expected though, as the Operational flips between adjacent clusters? Are they really where I'm sitting all looking very interesting ..? ?